Barbara Ann Salley was born in Washington, DC where she lived until age two when her family moved to Winston Salem, North Carolina. She accepted Jesus Christ as her personal Lord and Savior as a teenager in 1971. While attending Morning Star Baptist Church, she faithfully served on the Young Adult Choir, The Believer Ministry providing assistance & love to the sick and shut-in as well as being committed to attending bible study and regular weekly services. After completing high school, she married Bishop Daniel B. Salley Jr. and to this blessed union were born three beautiful children, Denascia, Demetrius, and Danielle. They were nurtured in the way of the Holy Scriptures and now that they are older, they have not departed from them. All three children are born again and serving faithfully in the ministry. She is also blessed with a wonderful daughter-in-law DeShawn, and 3 vivacious grandchildren Demetrius Jr., Damonte and Daisha. Her obvious commitment to the Lord and her family has not lessened her zeal and pursuit of education. She’s a graduate of Draugheon Business College, Jericho Christian Training College and School of Ministry graduating with honors. She is currently studying advanced biblical studies through Christian Bible College and Seminary as well as pursing completion of course training as a Christian Counselor. 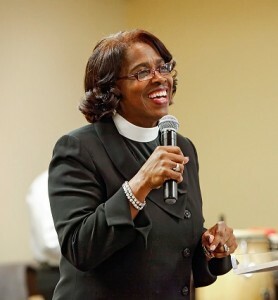 While traveling abroad with her husband during his military career, she assisted various ministries, serving as an usher, in the choir, as a teacher, elder, marriage and spiritual family counselor, christian academy operation’s manager, assistant pastor, and facilitated various bible studies and prayer meetings. Barbara Salley was officially ordained on October 8, 2000. 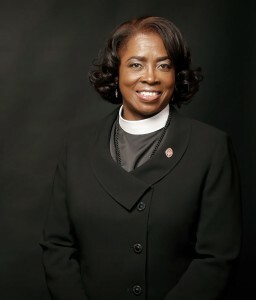 She currently serves as the Executive Pastor, Operation’s Manager and Women’s Ministry Department Head of Redeeming Life Ministries International (RLMI), where her husband Bishop Daniel B. Salley Jr., is Senior Pastor. She continues to personify dynamic leadership, biblical astuteness, and moral excellence. This awesome woman of God is also frequently called upon to minister at various churches, seminars and conferences. Her “I can do all things through Christ who strengthens me” attitude is key in her ability to continue to fulfill the call of God on her life. Her motto for success is “Just Do The Word”!